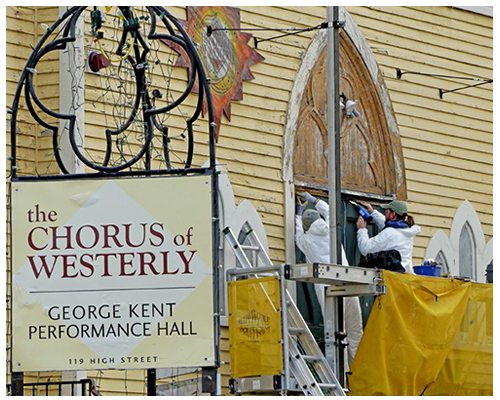 The Chorus of Westerly hired Keough for Construction Management services at their Historic Concert Hall built in 1886. The Chorus priority list included replacing the original slate roof, restoring the main front entry doors, restoring stained glass windows and other historic ornamental elements, replacement of the front entry stairs, and re-working the existing HVAC system to operate as a recirculating system. Keough is guiding the board of directors through the all phases of construction and has created a master budget for this project. Keough is additionally providing the Chorus of Westerly with testing services, creation and solicit of bid documents, recommendations for the award of consultants, construction documentation and assist with all aspects of the project.